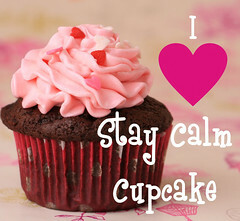 2012 Food Blogger Bake Sale | Stay Calm, Have A Cupcake! Sometimes it’s nice to know that you have people looking out for you! This morning I got an email from a friend who runs a great local blog, Central Florida Top 5. He asked me if I was participating in a local event for the 2012 Food Blogger Bake Sale. I had no idea there was even a local event going on. But now I am signed up, so excited and ready to tell you about it! The Food Blogger Bake Sale is a National Effort to support Share Our Strength – an organization fighting to end childhood hunger. Did you know that nearly 1 in 5 kids in America are struggling with hunger? It’s statistics like that which make events like the 2012 Food Blogger Bake Sale so important. Last year $25,000 was raised through 26 Food Blogger Bake Sales across the U.S. This year’s goal is to raise $50,000 – and I can’t wait to contribute! I will be at the Food Blogger Bake Sale in Winter Park, Florida on April 28th from 10 am – 1 pm. All of my proceeds will go towards “Share Our Strength”. What can you do to show your support? • If you are local to the Central Florida area, attend the event on April 28th – buy some cupcakes and donate to a great cause! I know many of you are not local to the Orlando, Florida area, so here is a link to a great list of bake sales that will be happening all across the U.S. on April 28th ! The contact info for each event is listed. Thanks in advance for your support! Stay Sweet! Hi Jill! Glad your joining us this weekend. Excited to raise money for a great cause and try your cupcakes! Hi Jill–glad you’ll be joining us this weekend to raise money for such a great cause. Excited to try your cupcakes! What flavors will you be making? Hi Katie – Im happy to be participating! I’ll be making French Vanilla, Double Chocolate, Coconut, and Lemon :)See you on Saturday!